Create funky, high-contrastCONTRASTThe difference between areas of different brightness levels in a photograph: A high-contrast image has a greater difference between light and dark areas, whereas a low-contrast image has a narrow range of tones. Contrast is used to direct a viewer’s attention to a photographer’s subject either with colour contrast (bold versus duller colours) or tonal contrast (bright versus darker tones). and artistic photos with a Lomo Instant camera. 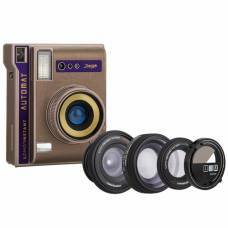 But, what is lomography? 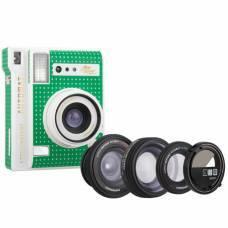 Simply put, lomography is a type of analogue photography that captures images on film instead of LCD screen. It transforms your photos from mundane to wondrous images that are begging for attention. Everyone can be a lomographer. It puts a creative twist on traditional photography with romantic, vignette effects, off hues and over-saturated colours. Remember to share your photos on Flickr or Deviantart! You can even look out for local lomographers and create your very own lomo wall. 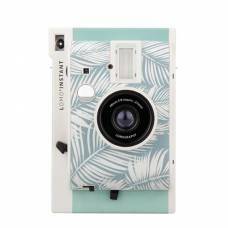 Inspired by Africa’s highest snowy summit, meet the Lomo’Instant Automat Glass Kilimanjaro! This Glass edition has everything you need to capture the world in crystal-clear, razor-sharp definition. 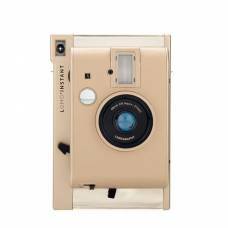 With its gold exterior, the Lomo’Instant Yangon is reminiscent of stunning sunsets. 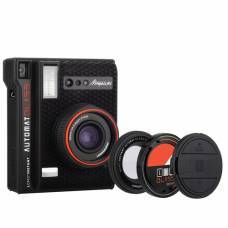 Have instant snaps anywhere anytime with this Lomography Lomo’instant Automat Camera Playa Jardín. 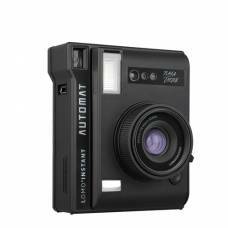 Create beautiful memories with the new show-stopping Lomo’Instant automat camera and lenses. 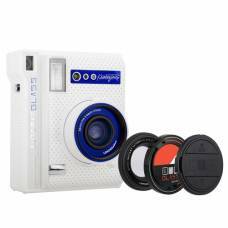 Take perfect selfies thanks to the Lomo'Instant's side mirror!